Elizabeth Bowen: An Estimation. Vision Press; Barnes & Noble, 1981. 255 pp. Revised edition as Elizabeth Bowen. Vintage, 1999. 265 pp. [Editor] - Elizabeth Bowen. The Mulberry Tree: Writings of Elizabeth Bowen. Virago; Harcourt Brace Jovanovich, 1986. Reissued by Vintage, 1999. 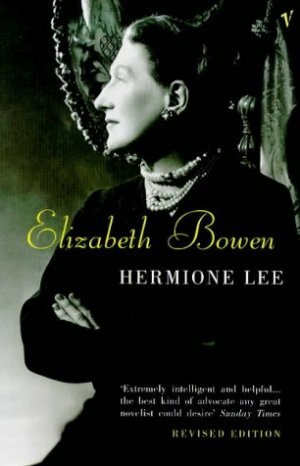 [Introduction] - Elizabeth Bowen. Bowen's Court & Seven Winters. Virago, 1984.
' "The Placing of Loss": Elizabeth Bowen's To the North'. Essays in Criticism 28.2 (April 1978): 129-142. 'Re-reading Elizabeth Bowen' Re-Constructing the Book: Literary Texts in Transmission. Ed. Maureen Bell, et al. Ashgate, 2001. pp. 148-158. 'Breaking Faith: Elizabeth Bowen and disloyalties', in Uncertain Futures: Essays about the Past for Roy Foster, OUP, 2016.